Superdry men’s dot all over print Montana rucksack. Raise the game for getaways with the dot all over print Montana rucksack, this spacious, stylish rucksack is a must-have this season to carry all your essentials. This rucksack features a single zip fastening, a Superdry branded top grab handle, a front zip compartment and twin popper side pockets. This rucksack also features a padded back and straps for added comfort, a large Superdry logo across the front and Superdry branded zip pulls. 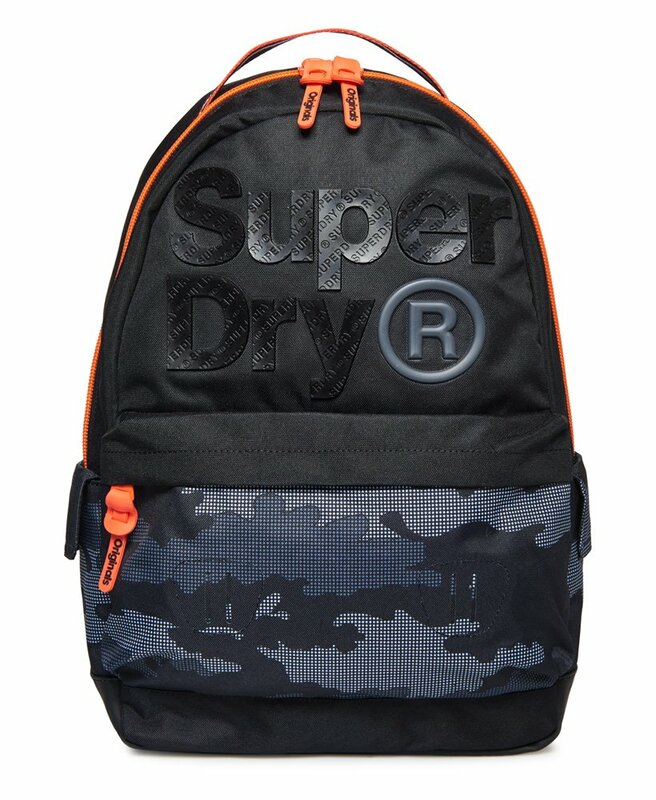 For the finishing touch to this rucksack, it has been completed with rubber Superdry logo on the strap.